Much of the point of this is that while it's important that players develop their skills, they also need to have some fun and enjoy doing it. Making the game fun is important. Keeping it fun is important as well. I played for many coaches who demanded that each and every player work hard at practice and also during each and every shift every game. After all, at the professional level if you don't, there is always someone ready to take your spot! Some of the very best coaches that I played for also understood that to keep players focused and motivated to come to the rink, they needed to incorporate some fun and encourage creativity. When you are passionate about something, love doing it and have fun doing it, development is going to occur much more organically, and that is a great recipe for success in hockey. When I retired from hockey and started our hockey camp 34 years ago, I wanted to make sure that athletes had the best of both worlds, an opportunity to improve their hockey by receiving great coaching and instruction, and also have some fun while doing it. We recognize the balance between working hard on the ice, and having the ability to walk out of the rink, dryland training area or weight room, and have options for fun. Fun off the ice keeps things fresh and develops creativity through activities that can be applied on the ice. 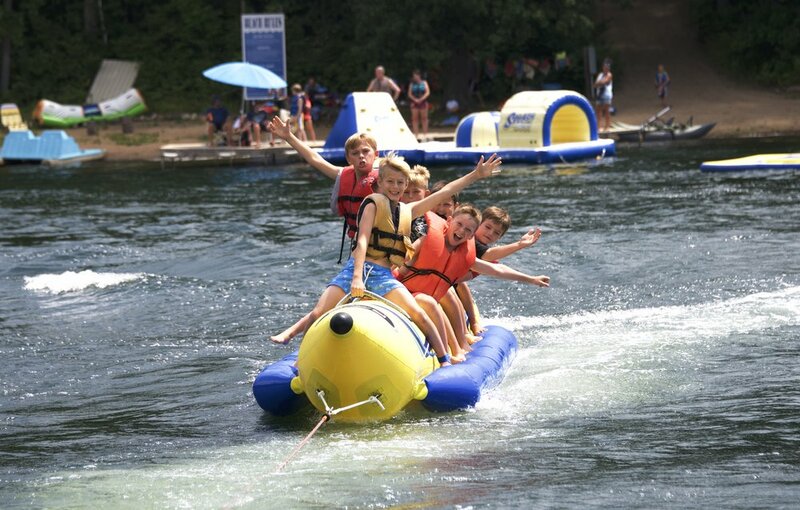 Athletes at our camp have the option to water ski, mini-golf, fish, swim or just hang out at the beach, to name just a few activities that we feel are important in attending a hockey camp. Why is this so important? A great hockey player who had a long career in the NHL and was strong as an ox, once told me that he built up his strength each summer by water skiing every day. The Aspen Institute for sport recently released a study. Among the findings was a statement that I found very interesting. It talked about knowing your customer in business. Our business is developing hockey players. This report stated that "parents know that video games (and the technology industry more broadly) often get blamed for our kids' sedentary habits, yet they provide much of what children want out of a sport experience, including: lots of action, freedom to experiment, competition without exclusion, social connection with friends as co-players, customization, and a measure of control over the activity — plus, no parents critiquing their every move. Simply put, the child is at the center of the video game experience, all made possible by research and feedback loops that seek input from its young customers. Now imagine if youth sport providers worked half as hard to understand the needs of kids..."
I found this study to be very interesting, however I would add the word "fun". If we work hard everyday at camp to build the skills that hockey players need to improve in order to accomplish their goals, there should be an element of fun involved, both on and off the ice. We are confident that you will find this at Heartland Hockey Camp! From our hockey family to yours, we hope you are off to a great start in 2018 and look forward to seeing you at one of our hockey camps this summer!